Making your site load faster is one top most important aspect of SEO and internet. According to a study, if your website doesn’t open in 3 seconds, majority of your users leave your website without even taking a look and that’s harsh and tough at the same time for a person who has spent a lot of time and care in building his/her website and than users going away without a glimpse of the website. And to sort this one out, we are going to talk about top reasons to use CDN for your website. 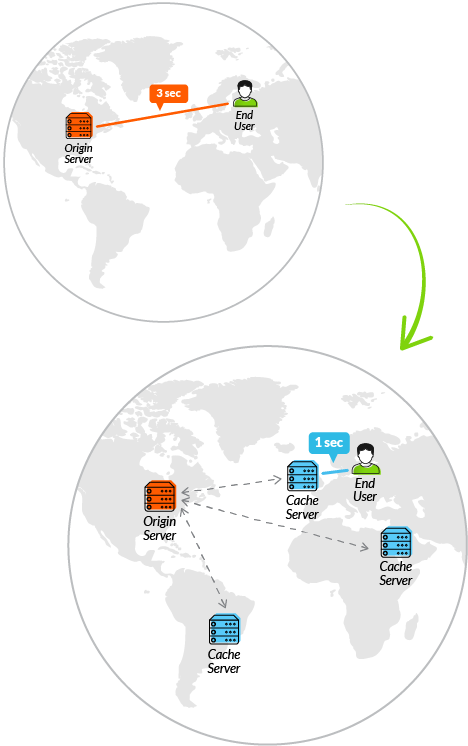 But before proceeding with the reasons, lets know what CDN actually is and how it works? 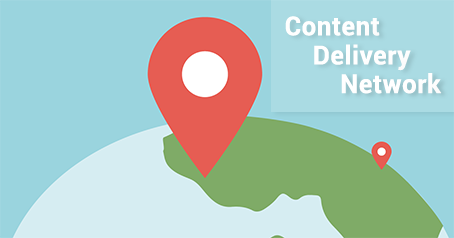 CDN’s are designed to remove Latency, it’s the annoying delay that occurs from the moment you request to load a web page to the moment its content actually appears onscreen. According to a Report, the number of both DDoS attacks and web-based exploits (SQL injection, cross-site scripting, and local or remote file-inclusion attacks) are becoming more common as well. These attacks are also increasingly launched in conjunction using a DDoS to divert attention while causing more serious damage with other exploits. In both types of attacks, it is often difficult to distinguish bad traffic from legitimate traffic, and strategies continue to evolve rapidly over time, requiring significant dedicated security resources in order to stay up to date on mitigation strategies. Given the increasing volatility of the Internet threat landscape, helping to secure websites is a critical CDN requirement. Today’s most advanced CDNs have made information security a core competency, providing unique cloud-based solutions. CDNs should protect content providers and users by mitigating against a wide array of attacks without malicious entities ever compromising delivery and availability. As carriers of nearly half of the world’s Internet traffic, CDN providers generate vast amounts of data about end user connectivity, device types, and browsing experiences across the globe. They can expose this data to their customers, thus giving them critical, actionable insights, and intelligence into their user base.Tthis includes Real-User Monitoring and Media Analytics to measure end-user engagement with web content, and Cloud Security Intelligence to keep track of online threats. CDN’s certainly is the solution to high pings and latency’s people are facing while accessing the web and putting CDN in use will make your site load faster and give your user a mesmerizing web experience.Now, choosing a better CDN system is the real challenge because there are a lot of companies out in the market promising something else and reality is quite different. So, we’ll recommend you to choose wisely out of all the available options. Here’s a list of all free CDN’s which promises up to the mark service quality. Hope you have enjoyed this blog post and our other blogs as well. In case if you have missed reading, go through Top 10 Most Illustrated Web Designs or Top 10 Ways To Get More Views On YouTube Videos. Most Common Web Design Mistakes – Coffin For A Website is a monstrous dream for any web designer.